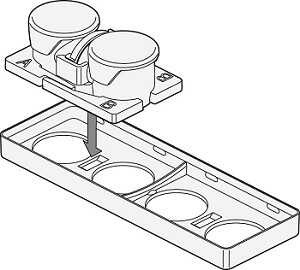 UniWells™ Horizontal Co-Culture Plate is an ideal co-culture device that connects two wells laterally. 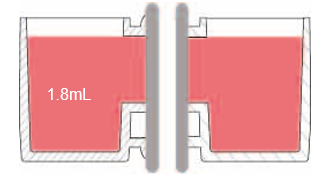 Horizontal connection provides easy viewing of cells in both wells simultaneously using various type of microscopes. It is a versatile tool for studying cell-cell interactions such as transport, migration and invasion. 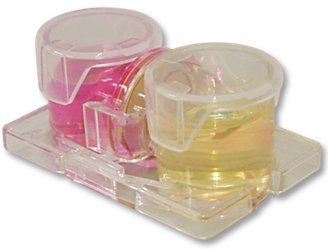 UniWells™ Horizontal Co-Culture Plate enables the observation that exosomes derived from cell B permeate the filter and are uptaked by cell A. 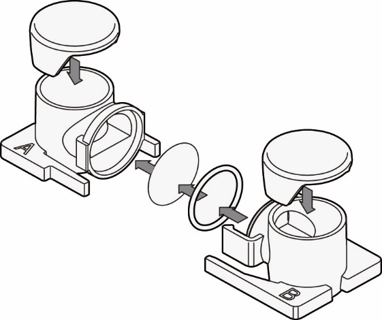 Wells are connected by fitting a filter, O-ring and cover. ※The filters are sold separately. A)Connect the wells cultured independently by aspirating the culture solution once. Fit a common cover and cover to a well. 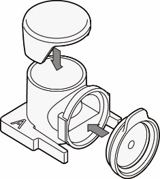 Set wells to the adapter provided. 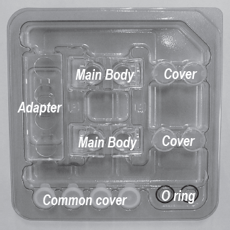 ※The adapter is attached to the main unit. Medium volume less than 400 μL is not shared between the wells. The maximum medium volume on each well is 1.8 mL.